New The Toy Chronicle Website! 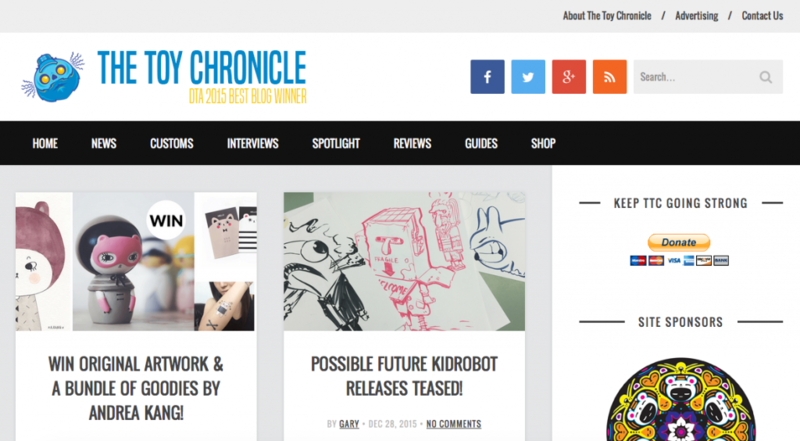 As 2015 is drawing to a close, we figured we would give The Toy Chronicle website a little sprucing up. Hit 2016 hard & beautiful. So you are now seeing the newly designed TTC website! We tried to make this new site a bit cleaner, crisper, easier to manage. Speeding the site up was one of our main goals, and we think we have achieved that. Hopefully you’ll be able to tell the difference. We are still pottering about with the new design, but for now please enjoy! If you spot any bugs etc, please don’t hesitate to let us know. Thanks for your support during 2015! Here’s to an awesome 2016!